I know I always say: “Ask whatever you like and I will answer it…” And ask you do!!! Socialization (for home schoolers) and discipline are the two topics my readers ask me at least weekly and the two questions I never really answer! So I thought while we are having two weeks off school I would tackle them. Both these topics can get quite heated because everyone has an opinion about them!!! Believe it or not I have one too…. I think the trouble with discipline as a topic is that in our culture we instantly equate discipline with punishment. Seriously if someone asks me: “How do you discipline your kids?” The question they are actually asking is: “What punishment works for you…” So we need to just take a step back for a moment and think about how we define discipline. Discipline is really all about training… athletes train for a particular discipline, academics study in a particular discipline and our children, well our children we are training them up to be regular folk whatever situation they find themselves in. I think a big part of that discipline is self-discipline: personal hygiene, getting their school work done because that is their job, not because I am telling them to do it, and so on. Now like most parenting issues when faced with it I read about it! 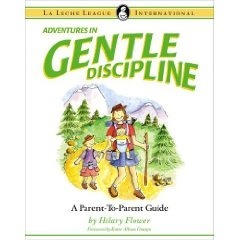 And when it comes to discipline there seem to be two very distinct types of book on the market: Those for very controlled parents and those for very permissive parents. Whichever camp folk tend to fall in they are prepared to defend their stand to the hilt. As soon as a book says this is the way to discipline your kids and all other methods are faulty then I know they are probably quite flakey. This isn’t one book it is a range of books with a book to match every situation you could possibly be in. I love these books they are packed with very real practical advise – all based on the premise that your children are people that need to be respected at all times. These books are not just for toddlers but for teens as well – I am going to need a lot of the ideas here! There solutions involve engaging your kids and getting your kids involved in the solutions to typical (and some not so typical scenarios). I love the real examples that are very enabling for you and your children. They have a podcast on the website that always makes me feel like I am doing a good job (!) and don’t all mothers need that! – go and give it a listen. This is not a “How to Book” but rather a collection of home truths from mothers who have been there. It is not piffling or waffling, she gets to the point and then uses real anecdotes to back her point. I like that the ideas come from real families in the trenches not just an expert blasting ideas at you. William Sears: The Discipline book. 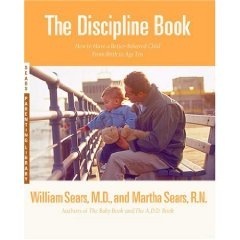 I am a big William Sears fan, – totally love his Baby Book and the Discipline Book didn’t disappoint. Sleep, snacks and make sure they are busy : I recently wrote a post: Se7en Tips on Surviving Sibling Rivalry… where I said well rested, well fed and well exercised kids tends to remove a lot of the problem with sibling rivalry and these three things tend to resolve a lot of the discipline issues in our house as well. Tired children are grouchy children – get them to bed on time. Hungry children are impossible – feed them real food before they are starving. If your child is hungry now but lunch is in an hour get them a snack and save yourself a ruined day – trust me on this. A bored child gets up to mischief. A busy child is a happy child, it really is that simple – keep them busy. My kids have discovered that I have lots of chores up my sleeve, as soon as they look idle I have quite a few suggestions! Distraction works: I think one of the most astonishing things for me was that discipline begins long before they are terribly two! 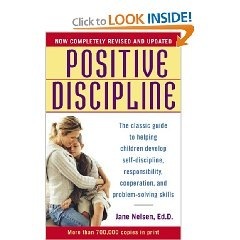 In fact, if we think of discipline as self discipline it begins really early on, for example when your one year old tries to pull themselves up next to the stove we redirect them. We distract ourselves all the time. I would often rather be reading a book than getting dinner ready but I need to redirect myself!!! My children need to master the art of self-distraction. I have found distraction works especially if we focus on the positive. Sometimes our kids go through hideous phases, they seem to be in the thick of every squabble, a destructive force marching through our home. Sometimes I just follow them throughout the day and when they do something great take their picture… in fact if you don’t catch the moment don’t worry they will happily re-enact it! What they are hearing is a lot of negatives (don’t do this, don’t do that) but what they see is all the positives – it has really worked for us! The Voice: I have heard of the terrible twos and I know they begin long before your child hits the two year mark. However, the most epic tantrums have all occurred when my kids were three and they were epic. I have had one earth shattering tantrum from each of them, and I have to say they always start over some really silly thing, this epic tends to be the last one – that’s it the tantrum phase is over and life becomes a little more complicated! I heard this snippet far too long into the parenting game: “A child will only have a tantrum if they think they can win.” The penny dropped for me and my no became a quite definite “No!” I do have a tone of voice that my children jump to and I just have to remember to use it! Also if you decide to say no then intend to mean it. My kids understand that if they throw even the slightest fit out of the house then we will go home immediately – leave the groceries in the store, whatever. I have only had to follow through two or three times, and those examples have lasted down the sibling chain. Be Consistent and Zero Tolerance Days: It is so much easier to be consistent with your kids if you are not feeling totally worn down – if you need more rest get it. If that means collapsing on the bed with a couple of story books ( I speak from very personal experience here!) then do it. Shut the door so that your little ones cannot wander too far and snuggle down – often they will have a nap too and your whole day will be better for it. When I am not well rested I am not consistent and it shows very quickly. Also when things are going well, we relax a bit and before you know it things slide a little bit. Rules can all slide and stretch and warp if I am not on the ball – If I am too tired! The only way to get this back on track is for me to get some sleep(!) and for me to be totally on the ball. Stick to the routine, have meals and bedtime on track. I can let our day slide before breakfast just by checking emails when I should be alongside my kids and getting them going. On Zero Tolerance Days I have to be there alongside my kids and help them do what they are meant to be doing if they get distracted then I am there to help them get back on track. The couch: We do not have a naughty step, we are not putting children in the corner for ours on end! But we do start when they are quite little and falling apart, to take them out of the situation and sit with them on the couch. I will say “You sound really stressed let’s go to the couch to cool off.” As they get older I can send them to the couch on their own when I hear stress levels reaching a peak! Just go and chill off and leave when you are feeling better… if they get off and carry on where they left off then clearly they haven’t cooled off enough and back they go. If it is just because they are tired and grumpy then I try to change the “situation” that they are returning too. If we are playing inside then we move outside, just a change in activity can often help. Use a code: I have a friend, who I greatly admire, that never says a bad word about her kids – ever. She never gets involved in those “You know what my kid got up to conversations” and you never see her discipline her children in public. That doesn’t mean she lets them run riot! But you never see it! Often times my kids will do something that is just plain annoying when we are in public, keeping in mind that I am not trying to humiliate my kids and embarrass them, I am trying to train and teach them, we have a code word that says that is enough of that! The Random Point System: I am not big on rewarding or bribing my kids for good behavior. I expect them to behave. Realistic expectations imply that you know what you want and sends the message to your kids that you have thought about it! Occasionally when things get way out of control we resort to the random point game, just for a week or two. It works like this: names go up on the fridge and a random number is awarded for awesome behaviour and another random amount will be removed for bad behaviour. “You math isn’t finished on time (because of dawdling!!!) take off a thousand points. You helped with the laundry without being asked – have two thousand points.” And so on. I do not get caught up in a discussion about points – I am in charge on this and I choose the points! Meanwhile, remember to give lots of points for good behavior and try not to swoop all their points away in a moment of frustration!!! There are times when I am just too tired to get things moving along… For example when you are se7en months pregnant and your youngest child is teething!!! Quite simply I get too tired to get them to bed, I just sort of look at them! This is where the points game comes into it’s own, the kids who are on track get heaps of points. After a couple of days I tally up the points and the best player gets a small reward, an extra helping of dessert for example. If your kids are tiny and points are too random then you can use a jar of beans for each kid: Start with your jar half full – give and take as need be and it is a visual example of their behavior. All that being said – I don’t claim to have the answers. We have good days and we have bad days. There are days when I am on track and days when I am less self-disciplined! There are days when my kids are on track and days when the wheels come off. I try and keep in mind that they are not going to be adults next week but in a couple of years time. Just like all child training it doesn’t have to happen overnight. I also had to laugh about the fits in the store- when the youngest one started to throw one a couple of years ago, there was a collective gasp from the olders, and gentle shepherding-“No! Don’t start that! Haven’t we told you what she’ll do?! ?” And I’m trying to keep a straight face with that…. Not to sound like a dragon, but when you have many kids, you need and expect them to behave. Big families can either be a big blessing or a big curse. I just pray ours is a blessing. Those are awesome suggestions! I always love reading your blog! Thanks! Hi M, Good to hear from you!!! Aaaahhh! Big Families… isn’t that the truth these kids do have to behave so much better in public because they are so much more observed. If a mom with one or two kids has a tantrum on her hands: “Shame poor woman”, but a mom with se7en: “Those kids are sure out of control…” Also lots of people stop us to chat – our sheer volume tends to stop folks in their tracks, while I am distracted my ducks have to “stay in a row” so to speak!!! But it isn’t such a bad thing for me to have higher expectations of them it just means the training is a little more intense earlier on. You have a good week! Hi B, Glad you enjoyed it!!! It took a while to write as I had so much to organize in my head and think about. What I normally just do out of habit I had to actually verbalize! You take care and have a good week! Hi D, Glad you liked them! Really it’s one day at a time!!! Have a good day! 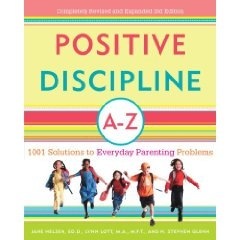 Not having kids myself, I can see how discipline is one of those areas that I can see impacting their entire lives, since I deal with the results in Higerh Education. What an encouraging article! How I needed this last week! Hi I!, There is nothing like messing with their minds – just a little bit!!! I tell you what I would rather be in these trenches disciplining short people than coping with the results eighteen years down the line!!! Have a good week. Hi L, Isn’t it funny how we always need someone from outside to see how to survive in our situation! I hope you are having a much better week this week! Take Care. Love your site! I just found it and I will definitely become a repeat visitor. 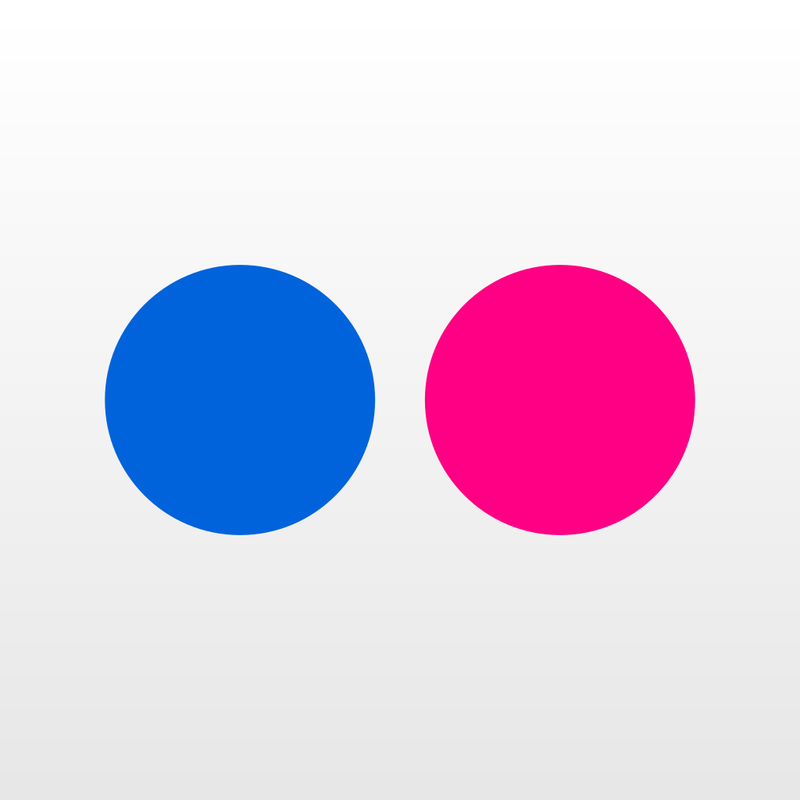 I am curious though…whats your code word and how did you explain this to your children? Hi L, So glad you found us and that you are enjoying our blog! And you want to know our code word!!! How revealing would that be!!! We have lots of code words for different scenarios I guess if the word is part of your families vocabulary then you don’t have to explain too much to them. In this scenario I just ask them if they would like go for a chat… when they hear that phrase they know they have overstepped themselves (!) but most people around us don’t know what just passed between us. I have never had to do or say anything else it stops them in their tracks!!! Now you know… Have a great weekend! I am an avid follower of your blog and REALLY look up to you! I have to admit, I was a little nervous when giving out your blog url sometimes though because I didn’t know where you stood on discipline and I do not condone any sort of corporal punishment (spanking, etc..) and am SOOO excited that you posted this that I made a post on the mommy board I am on letting everyone know about you! 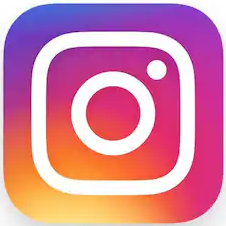 I actually wanted to invite you to our mommy board…It’s called GCM: Gentle Christian Mothers and we are a non-punitive, grace based, gentle disciplining board. Lots of alternative minded moms on there regarding everything from homeschooling to natural health and cooking. I know you are busy, but we’d love to hear from you even if only from time to time! Hi C, Thanks so much for the invitation and the “Heads Up!! 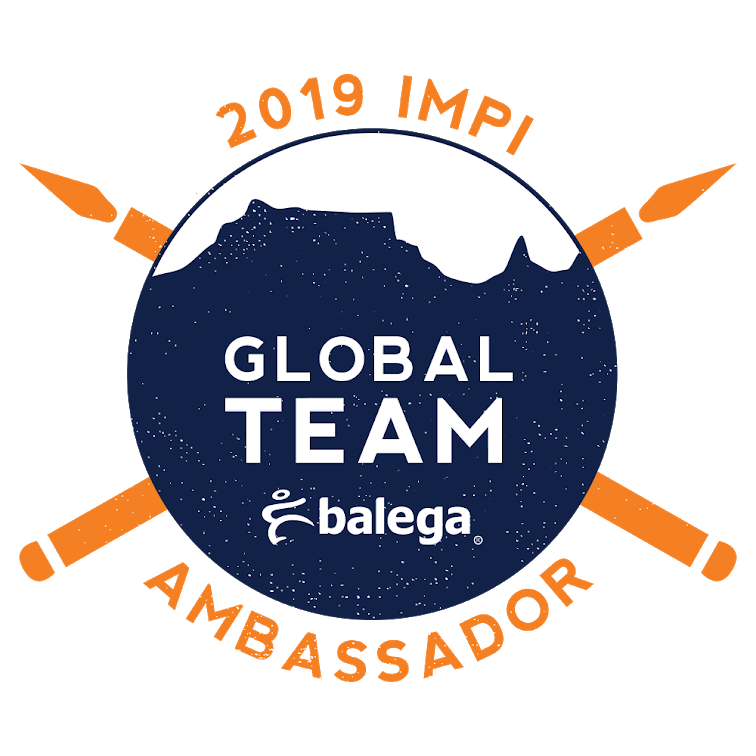 !” I will definitely pop over and visit! Have a great week! Hi S, I am so glad this helped. When I wrote this post I realized that really it is all about maintaining consistency (routine, snacks, bedtime etc) and the times when we fall apart are when I am not disciplined enough to do that!!! Most of the tips are triggers to get me back into the consistency groove. Which doesn’t mean that my kids are perfect angels by any means (wahaha!!!) but it does mean that I have a loot more power to keep things on the straight and narrow than I thought I did! I hope you have a great week! Just wanted to thank you again. I totally love your blog! I will be reading often! Hi L, So glad you like coming by!!! Have a Good week! Every time I read your blog, I feel more and more a connection with you and the words you write – your heart and style of mothering. I appreciate you! Hay Leslie… I am so thrilled you stopped by and commented!!! I have a feeling that if you lived down the way we would spend an afternoon or two a week in the great outdoors while our kids did their wonderful wild thing!!! I knew you had started a new blog but forgot to RSS it… now I have got you in my reader. I am thrilled, I love reading what you write!!! Have a great weekend!! !